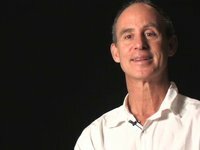 Dr. Swartwout was named Holistic Optometrist of the Year by the International Society for Holistic Optometry, acknowledging his clinical research on reversing cataracts with nutritional therapies, research on Syntonic Phototherapy using selected frequencies of visible light, and pioneering work in visual biofeedback among other achievements. 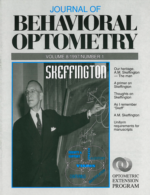 Dr. Glen's father, Dr. J. Baxter Swartwout, succeeded the father of Behavioral Optometry, Dr. A.M. Skeffington, at the helm of the Optometric Extension Program Foundation, the largest post-doctoral continuing education foundation in the vision field. While practicing with his father for 5 years, Dr. Glen's cutting edge healing work drew 3 complaints... not one from a patient, but all from physicians. In one case, the complaint of using non-invasive trace mineral analysis led to a ruling to outlaw trace mineral analysis, a ruling that still stands in New York State. In another case, a complaint that he was ordering laboratory tests, a grey area in New York State law, led to the decision that Doctors of Optometry could not order lab tests. Dr. Swartwout's computer analysis of the routine blood and urine tests, all individually within normal lab ranges, predicted a teenager's acute pancreatitis months before her hospitalization with the initial acute symptomatic attack. In the third instance, Dr. Glen educated a patient about light therapy including both Syntonic color therapy for visual conditions, and Full Spectrum Phototherapy for Seasonal Affective Disorder. The patient's psychiatrist, who was not recommending light as a treatment option to this patient, whose symptoms were in fact highly seasonal, was upset that his patient received a copy of an article about a new treatment that was not a drug. Stephan Rechtschaffen, M.D., Founder of the Omega Institute. As Clinical Director of Learning Disabilities Associates, Dr. Glen Swartwout replaced Stephan Rechtschaffen, M.D. 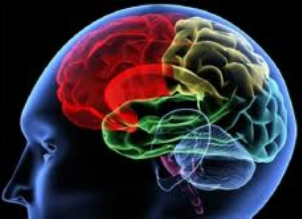 in handling diagnosis and remediation of underlying metabolic and immunological factors affecting learning abilities at the interdisciplinary clinic, which integrated special education, speech pathology, audiology, optometric vision therapy, and holistic medicine to restore, develop and enhance learning abilities at all ages. Stephan's father, like Dr. Glen's, was a well known New York physician.